The 8th Annual Centers of Excellence for Influenza Research and Surveillance (CEIRS) Network Meeting was hosted by the New York Influenza Center of Excellence (NYICE) at the University of Rochester in Rochester, NY. More than 270 CEIRS members attended the four-day meeting to discuss accomplishments and contributions of the CEIRS Network in the past year. The meeting provided a platform for investigators to share their work, and to develop and strengthen cross-CEIRS collaborations. Approximately 150 CEIRS investigators and trainees spoke or gave poster presentations about their latest research and planned studies. Students and postdoctoral fellows had the opportunity to meet their counterparts from other Centers, as well as senior CEIRS investigators from across the Network. The meeting began with concurrent sessions where the various Network-wide cross-collaborative working groups met to describe their accomplishments and develop priorities for the coming year. Engaged year round, these working groups tackle issues such as identifying viruses with pandemic potential from surveillance activities and performing key characterization experiments to understand the potential risk of the viruses to human health. The ferret working group determines what ferret reagents are critical to advance influenza research – ferrets are the best animal model to study influenza, but reagents are not readily available, such as anti-ferret antibodies to perform biochemical analyses. The surveillance working groups focus on current research, best practices, and needs for human, swine, and wild bird influenza surveillance. Still others delineate gaps in available data analysis tools to prioritize development of additional resources, discuss development of clinical protocols and processes, or how to capture key experimental data to facilitate data sharing across the Network. All working group activities strive to promote the priorities and interests of the CEIRS Network while keeping the broader influenza community in mind. 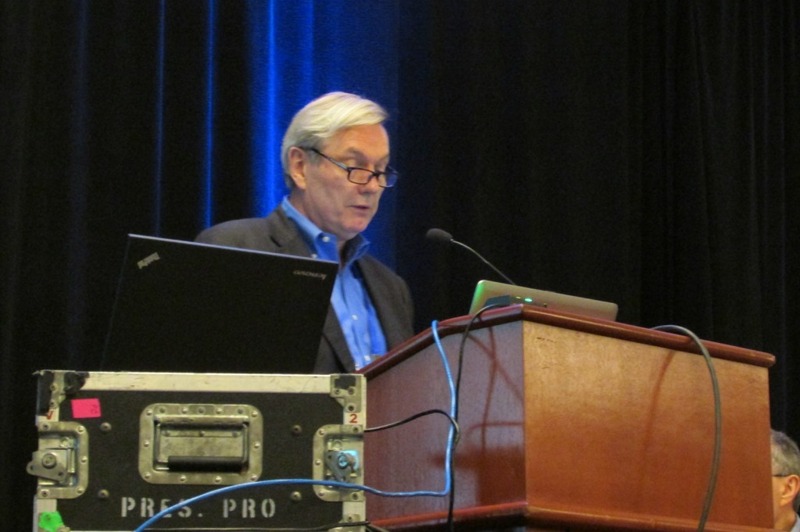 Dr. Mike Osterholm delivers one of the keynote lectures. Two keynote lectures were delivered by Drs. Robert Webster and Mike Osterholm, part of St. Jude CEIRS. Dr. Webster provided an overview of the current status of animal influenza domestically and internationally. Globally, he said, swine and bird influenza outbreaks have increased. This increase in known animal influenza outbreaks is partially due to growing population sizes of animals and humans, as well as an increase in the detection of outbreaks due to enhanced surveillance activities worldwide. Dr. Osterholm provided an update on human influenza outbreaks worldwide, highlighting some emerging influenza viruses and noting the need for preparedness activities that should be taken in advance of the next potential pandemic. Over the course of the meeting, investigators described research on a variety of topics, such as molecular virology, pathogenesis, pandemic preparedness, advanced technologies to study influenza, and surveillance. These sessions also included discussions of ways to leverage Network resources to further research. Chairs of the cross-collaborative Working Groups share accomplishments and priorities with the CEIRS community. Two panel discussions provided a more informal setting for the CEIRS community to share information about activities and resources within the Network. In the first panel, working groups that met on the first day of the conference shared their accomplishments and priorities for the future with the entire CEIRS community. 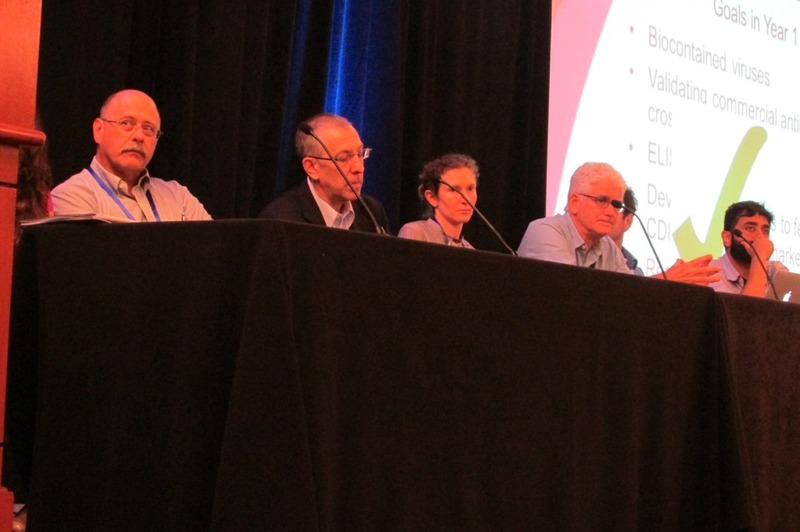 The second panel discussion focused on facilitating Network interactions, where staff from NIAID and the CEIRS Data Processing and Coordinating Center discussed the various avenues of communication and engagement that are available to the Network. The meeting also included a poster session that gave researchers the opportunity to discuss their findings with colleagues one-on-one. The meeting ended with a half-day focus on CEIRS surveillance, where investigators presented information on a wide range of influenza viruses and hosts, provided updates on highly pathogenic avian influenza (HPAI) in the United States and Europe, and shared their work on surveillance in swine populations, the human-animal interface, and Middle Eastern Respiratory Syndrome (MERS) Coronavirus. The main CEIRS Surveillance Meeting is scheduled to take place in October 2015. The 9th Annual CEIRS Network Meeting will be hosted by St. Jude CEIRS in Memphis, Tenn., in 2016.